Baldwin Wallace University, will host a preparatory camp for young artists. 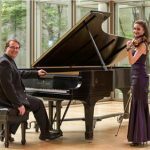 Young artists will be given unique opportunities to learn from internationally-recognized pianists as they attend programming designed to prepare them for the competition scene. More details can be found on our website or by clicking here. 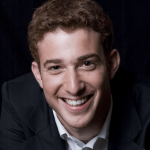 CIPC ArtsConnect presents FREE concerts! The Beachwood Series features talented, local artists for the public’s enjoyment throughout the year. This spring bring the whole family and watch our artists perform at the Beachwood Community Center on select Sundays from 2:00 pm – 3:00 pm. Click here to view the full schedule. Applications for the 2020 Cleveland International Piano Competition are open! The competition will take place July 26 – August 9, 2020. Applications are due November 26, 2019.
Who are you and what do you do at CIPC? What’s being the ArtsConnect Coordinator consist of? This position is really special, in that it allows me to get out and interact with the community in a very different way compared to our normal CIPC programming. Being able to provide music for children as young as 4 or 5, all the way up to adults in their 90’s (or 100’s! ), through the varieties of programming that we offer is very unique, and it has taught me a lot as a musician, administrator, and lover of the arts. Yes, I do! I am a French horn player, and you can find me playing second horn with the Erie Philharmonic and the Wheeling Symphony, teaching around the city, and playing with the North Coast Winds woodwind quintet. What made you want to be involved with the organization? CIPC is an organization that I became familiar with fairly early on after I moved to Cleveland from Toronto in 2010, and I was excited to be able to join the team here when the opportunity presented itself back in 2017. Meet my husband Erick! We also have cats and a dog not featured in this photo, but this photo sums up our life outside of work pretty well. 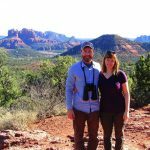 I have family living in Arizona, so we are lucky enough to be able to go visit them once or twice a year, and when we’re there we try to be out hiking and birding every day. Did I mention that we go hiking and birding a lot? We are what you could call “bird-nerds”, so that is one thing we are always excited about! We also love to garden, so we look forward to getting our flower, herb, and vegetable gardens underway once we have thawed out.